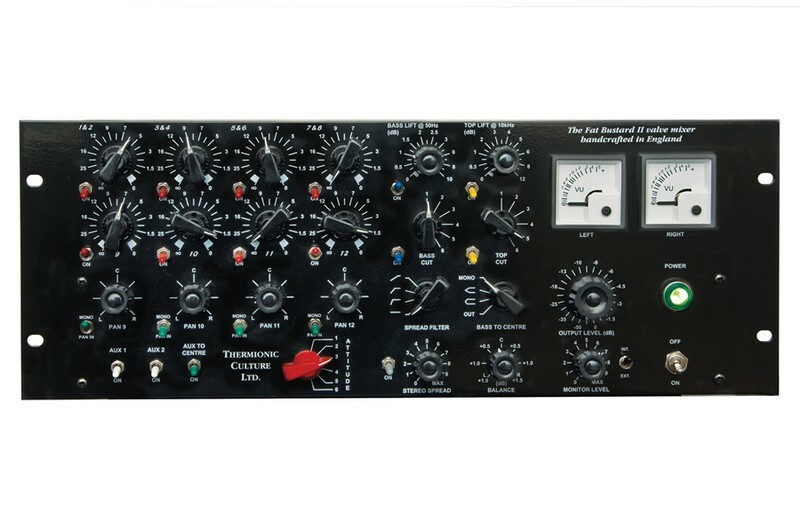 The Fat Bustard mk II is an all valve passive input summing mixer. 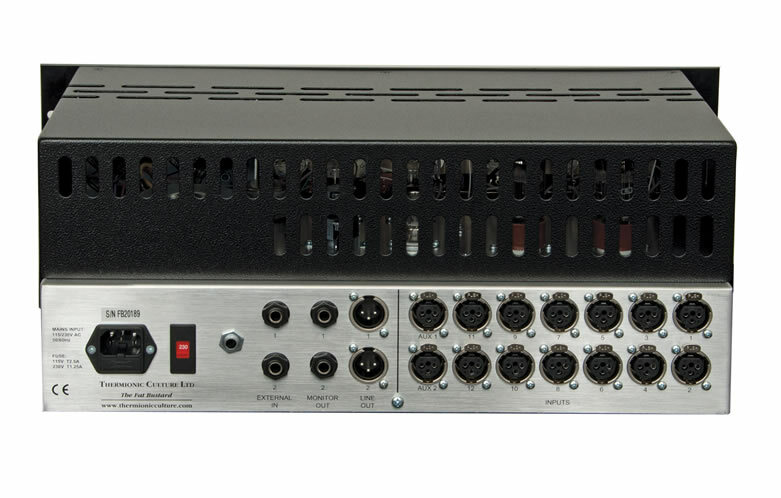 It has 14 inputs with 4 stereo inputs, 4 mono pan-able inputs and 2 'Aux' inputs with a pan switch. 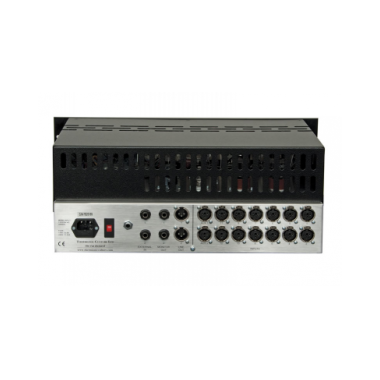 The Fat Bustard is unique in it's exceptional sound quality and also the extra degree of control and processing it offers over the stereo mix output. The mk II version is now the standard production model and it has been upgraded to include a monitor output with level control. The Fat Bustard employs our unique "varislope" curves for top and bass lift. 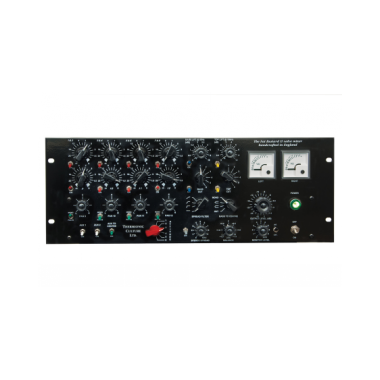 As the control is turned up, the peak frequency of the curve becomes more extreme so as to add heavier bass/brilliant top – without the hardness found in solid state eqs. The bass and top cuts provide a variety of options to tailor the sound – too many to list here. They are of course independent of the lifts. All controls affect both stereo channels equally. Crosstalk: 59dB @ 1kHz, 44dB @ 10kHz. Crosstalk will increase at high attitude settings and when stereo spread and/or bass to centre controls are used.